The Pilot Hi-Tec-C has long been a favorite of mine and to this day remains the best multi pen on the market. While the refills have remained unchanged over the years, Pilot introduces new barrels to the lineup regularly. This time around it is the Coleto N 3 and N 4. Coleto barrel designs haven't changed too much over time - a new body finish here, a rubber grip there - but the N models have a small design tweak that was needed. The flip-top cap where you refill the pen has always used a flat design with a small tab you had to get under and snap up. It worked, but a fingernail or two have been lost to the cause along the way. The N model uses a larger cone shape which allows you to use your thumb pad for an easier opening experience. Sometimes it's the little things. And little things is all the Coleto needs. The rest of the N model has been done before, especially with the clear, smooth grip section. Somehow it isn't slick, so keeping your grip steady is not a problem. 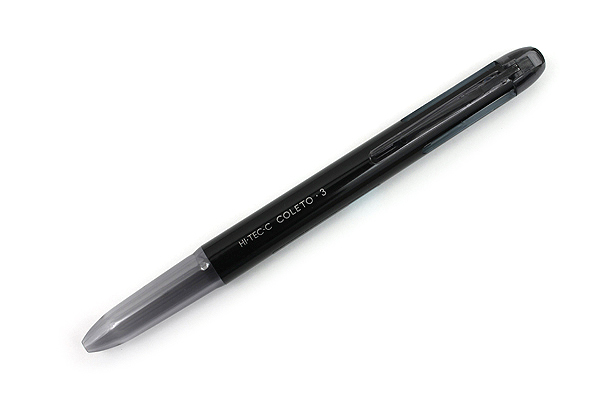 What makes the Coleto so great are the Pilot Hi-Tec-C refills, which haven't changed a bit. I tend to lean towards the three cartridge barrels because I am locked in on what refills I want to load up: Blue Black, Clear Blue, and Apricot Orange, all 0.4 mm. These three colors give me the range I want while having fun at the same time. Adding in a fourth color confuses my brain. I can never settle on what combo works best so I stick with what I know. 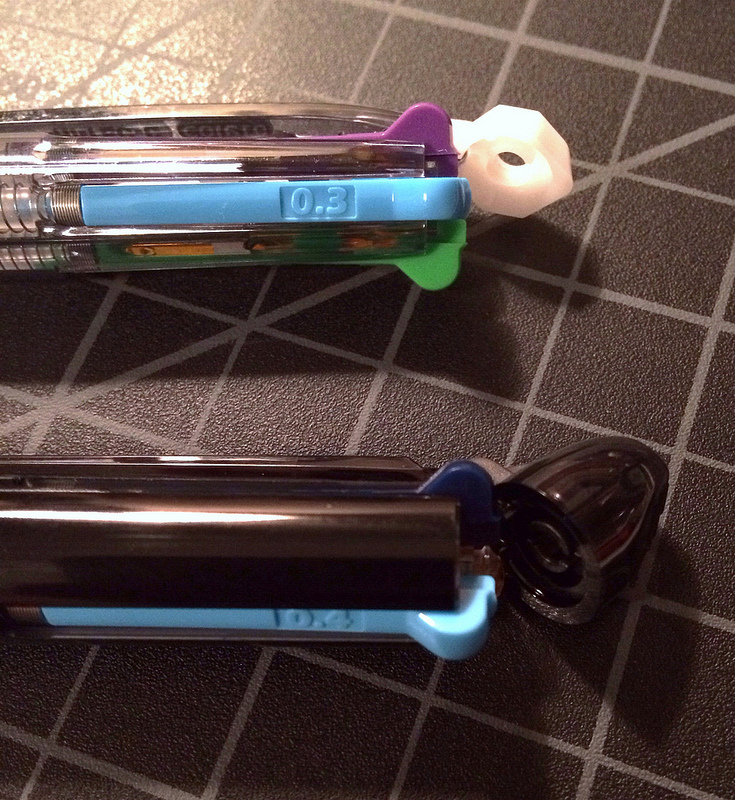 The Coleto N 3 is one of the least expensive barrel options in the line at $2.50 from JetPens. I like it as much as the base model with grip and is more solid than the Smart model. Of the higher end barrels I prefer the Me over the twice as expensive Lumio, and it's not close. One of the base models is all you need to get started with the Pilot Hi-Tec-C Coleto Multi Pen Line, and the new N model is a good one. Do you have a favorite Coleto barrel? And what inks do you load it up with? Posted on January 30, 2014 by Brad Dowdy and filed under Coleto, Hi-Tec-C, Multi Pen, Pen Reviews, Pilot.